Red Giant has released Universe 3.0, a major update to its video effects and transitions plugins for motion graphics artists and editors. With this update, users can enjoy an enhanced user experience thanks to the brand new Universe Dashboard, a dockable control board for Adobe Premiere Pro and Adobe After Effects that makes it simple to add effects and presets. Five new, customisable text generation effects give users even more ways to add a unique flair or specific look to their work. 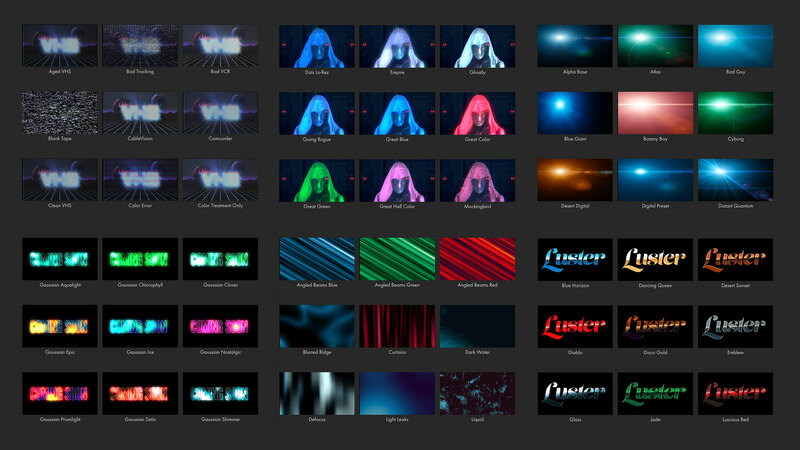 Red Giant Universe 3.0 features over 75 tools supported across 8 host-applications. Type Cast: Easily animate text properties like color, opacity, size, position and rotation – by the word or character. Type On: Quickly create computer terminal-style type reveals. Includes tons of options for customization and randomization. Hacker Text: Easily create computer hacker-style scrambled text animations. Simulate encrypting or decrypting text with many options for randomization and look. Text Tile: Generate multiple columns full of random data for use in motion graphics and computer terminal effects. Displayed information can be static or animated.